After the age of 50, nearly half of all deaths in women are due to some form of cardiovascular disease. Progesterone helps support healthy heart function, and changing your diet can reduce your risk. Adopting prudent lifestyle habits and eating a healthy diet are the best ways to achieve optimal cardiovascular health. 1. Nuts, especially almonds, walnuts, cashews and macadamias. They contain heart-healthy monounsaturated fat. Eat a moderate portion every day. 2. Whole soy protein. If you substitute whole soy protein, such as edamame or tofu, for animal protein each day, you can lower levels of homocysteine, a toxic amino acid linked to increased risk of heart disease. 3. Fresh garlic. This medicinal herb may help lower cholesterol levels. Use one or two raw or lightly cooked cloves a day. 4. Green tea. It provides EGCG, an antioxidant that may help to moderate inflammation and lower cholesterol. 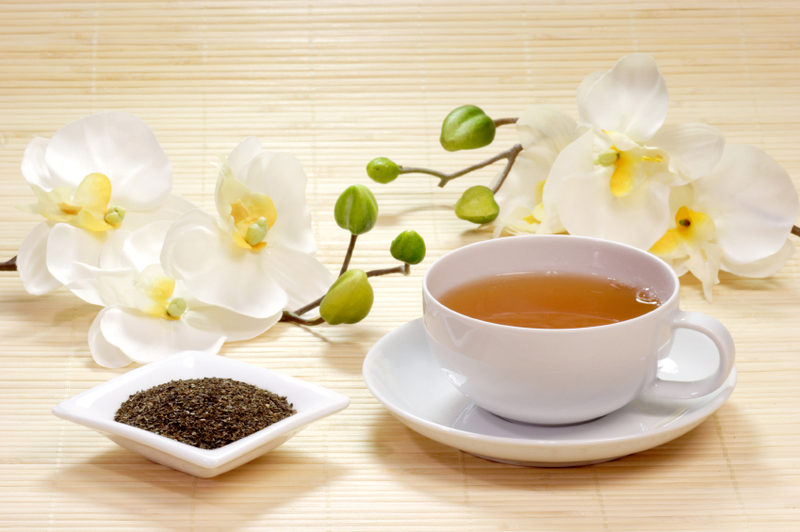 Substitute a cup of heart-healthy green tea for your morning coffee or afternoon soda. 5. Soluble fiber. It has a powerful cholesterol-lowering effect. Beans, legumes and whole grains are good sources to add to your diet – aim for one or two servings per day.